The lumbar plexus (LP), generally consisting of L1–L4 roots, is divided to each terminal branch through the psoas major muscle. LPB is essentially defined as a “three-in-one block” because it offers complete block of femoral, lateral femoral cutaneous, and obturator nerves by injection into the compartment covered by the psoas fascia. 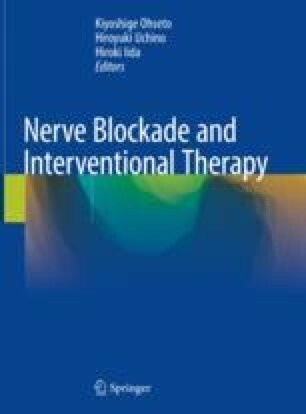 Originally, lumbar plexus block has been performed using landmark technique with nerve stimulation. Nowadays, excellent ultrasound image would help to perform the ultrasound guided lumbar plexus block.